Another quick NOTD post for you here, It feels like this blog is turning into a nail blog but I promise I have some more non nail posts lined up for this week, Anyway, I wanted to show you OPI's Princesses Rule, I absolutely love this nail polish, I remember finding it when I was looking for a neutral super pale pink, I spotted this and had to have it immediately, It wasn't what I was looking for but I just fell in love with it, it's a very sheer pale pink with the tiniest flecks of glitter running through it, it's so girly and pretty. 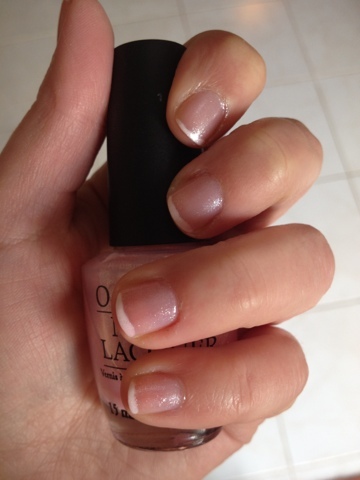 My main use for this is, is I tend to do a white tip on the nail and then use this as the main polish as a bit of an alternative to a standard french polish, it gives the manicure a bit more of a fun factor but it's still subtle enough to wear for work. p.s - Sorry about the messiness of the white tips, I was in a major rush doing these. 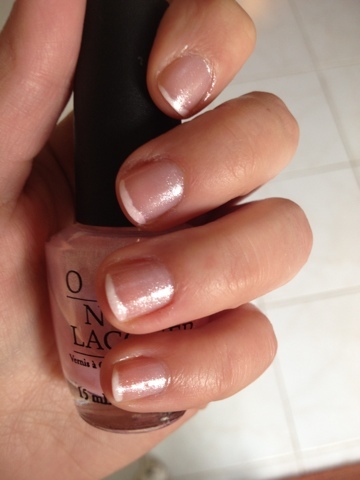 1 comment on "NOTD: OPI Princesses Rule"
These look really fresh and pretty!